We're expanding our selection of jewelry making kits for teens & tweens. Exciting new jewelry kits with up-to-date colors & styles designed to engage older kids in the craft of jewelry making. Teens & tweens will have fun as they learn to create jewelry that appeals to their own personal sense of fashion. You'll find them in the Jewelry Making Kits section of the store! The Shrink Art Jewelry Kit is a fun jewelry making kit from Klutz. Recommended for ages 12 & up, I gave this kit to my 12-year old daughter to try out and she loved it! She had a great time creating jewelry pieces that fit her unique "sporty girl" style. Kit includes a 62-page shrink art jewelry book, shrinky dinks plastic, hundreds of designs to trace, beads, cord, jewelry findings, and more! The book provides step-by-step instructions & detailed diagrams for creating one-of-a-kind rings, bracelets, necklaces, and earrings. You'll learn the simple steps involved in making shrink art jewelry, including how to trace a design on the shrink plastic, decorate it, cut it out, and shrink it in the oven. Then, you'll use the supplies in the kit to assemble your shrink art into jewelry pieces. This is a great jewelry craft kit for teens & adults! 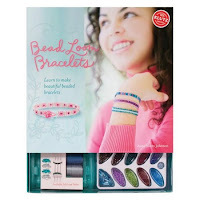 The Bead Loom Bracelets Kit from Klutz will show you how to create beautiful beaded bracelets at home. Kit includes a 59-page bead loom bracelets book, fold-out bead loom, jewel-tone beads, design sketch paper, beading needles, and floss. The instruction book is full of beautiful color photographs & detailed diagrams for making boutique-quality bracelets. This kit comes with a generous supply of seed beads, medium beads, bugle beads, and closure beads. Enough to make all 7 bracelets shown in the book! This kit is also recommended for ages 12 & up. The Style Me Up! jewelry kits use colors and styles that tweens will love! These kits are recommended for ages 8 & up. 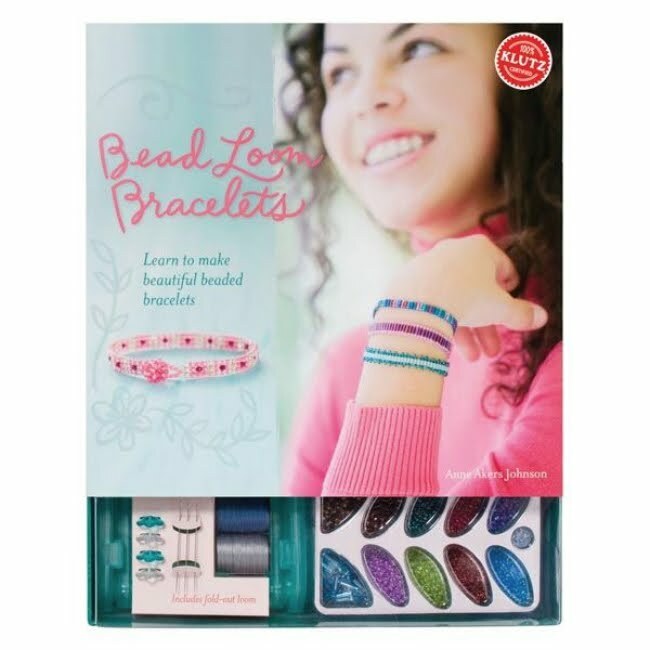 The Friendship Bracelets Kit includes a double-sided pattern wheel, cotton thread, beads, beading mat, and instruction booklet. There are 8 different colors of thread and variety of stylish beads included in the kit. Tweens will learn how to use the pattern wheel to create up to 14 different styles of beaded friendship bracelets. The Twistable Friendship Bracelets Kit includes 4 colors of wire, 8 colors of cotton thread, a variety of stylish beads, and instruction booklet. They're friendship bracelets with a creative twist! Making jewelry is a creative craft activity for kids to do on their own or as a group activity with family & friends. Visit the Jewelry Making Kits section for details on these kits and to see our complete selection of jewelry making kits for teens and beginners of all ages. The Weekend Kits craft store offers a unique selection of Creative Craft Kits & Supplies across a variety of Arts & Crafts categories. Kits make it easy to try out a new craft or learn a new skill. Stop by today and be ready for a crafty Weekend at Home! Latch Hook Kits for Kids - Fun Pillow Projects!